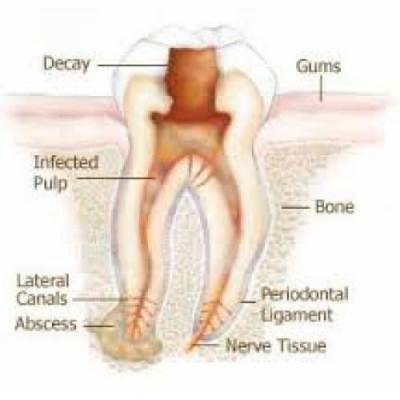 A tooth abscess is a very painful condition associated with an infected tooth. Infection of the pulp leads to its death and pus accumulation. This pus accumulation applies pressure on the nerve endings. Patient will have a feeling of tooth being elevated from the socket. There can be varying degrees of swelling. 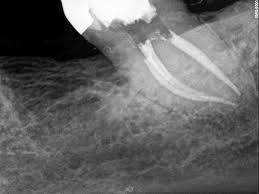 This condition cannot be recognized in the initial stages on the radiograph as bone destruction is minimal. Sometimes this pus might get extruded out through the soft tissues or the swelling might spread to other regions of the face and neck. 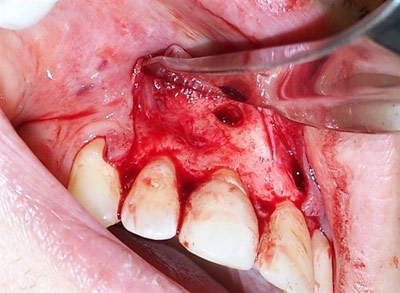 Immediate drainage of pus from the tooth with abscess will relieve the pain. Procedure could be accompanied with medications like antibiotics and pain killers. 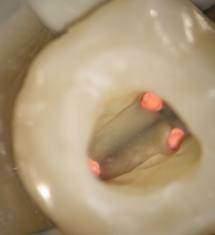 What is Apicoectomy or Surgical Endodontics? 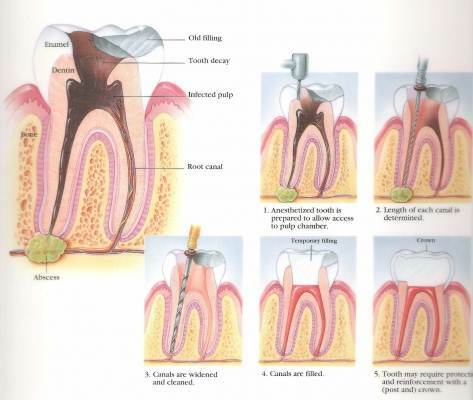 Apicoectomy or Surgical Endodontics is a minor surgical procedure to remove the infected tips of the roots and to clean the surrounding infected bone of a root canal treated tooth. Surgical Endodontic procedure is suggested when the RCT or Root Canal Treatment (and re-treatment) has failed to clear the infection around the tooth root. 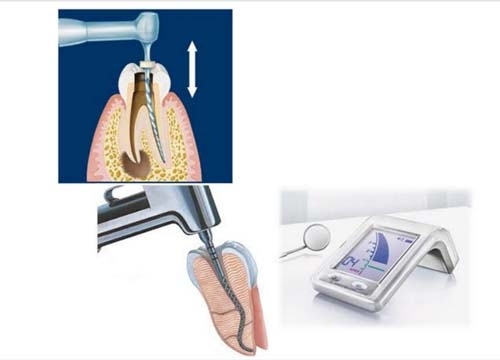 During the procedure, access is established to the root tips through gums. 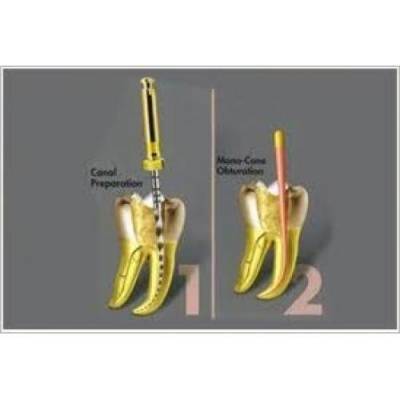 Root tips are removed and the canals are sealed from the side of the remaining root tip. The infected tissues around the roots are removed; the site is thoroughly irrigated to clear the debris and cleaned to encourage healing of the surrounding bone. 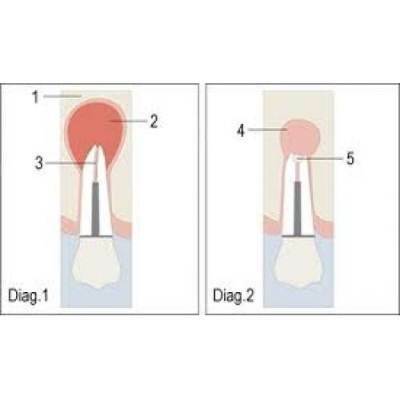 Bone grafting might be required in cases of considerable bone destruction around the root tips.